Hi SDA Pals – I’m moving to Portland at the end of August (to be closer to family). LOTS of great (and some weird) stuff. 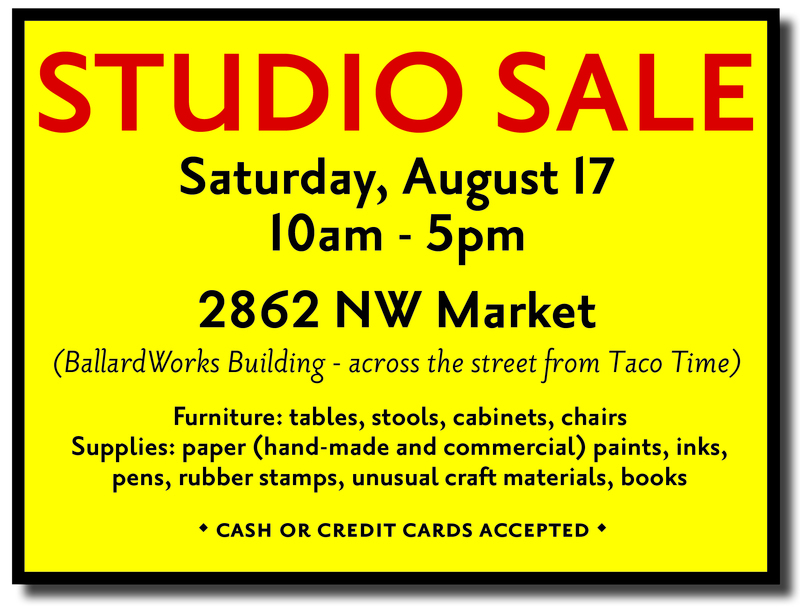 Furniture: tables, cabinets, chairs, stools/Supplies: paper, pens, paint, inks, fabric, craft supplies, books, odds and ends. Pricing will be EXTREMELY reasonable. I have rented a new studio in Portland, but it’s not as large and I don’t want to move lots of stuff. Feel free to email me with any questions about what’s available. Hope to see you Saturday the 17th! This entry was posted in Member Event and tagged Maude May, Spark Art & Design. ← Coming to the Dancing Surfaces Reception on Friday?